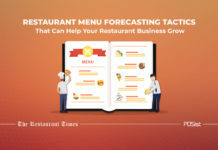 By calculating these financial metrics, the restaurant operators can identify the financial performance of the restaurant and also determine the areas that require any improvements. 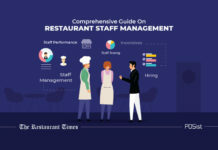 By regularly calculating financial performance metrics, restaurant managers can find negative trends and determine the areas that need improvement. Several costs ultimately affect the net profit of a restaurant business; you cannot make one change and expect to see a significant difference. 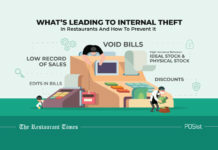 So here are a few restaurant financial metrics to pay attention to. The Cost Of Goods Sold is an essential restaurant financial metric. It is basically the cost required to prepare each item on your restaurant’s menu. CoGS also represent the total amount you need to spend on the inventory to acquire the raw material required for cooking over a period of time. It helps you determine if the menu items are priced correctly or if the food cost is high. Since a maximum of the raw materials is imported in UAE, the Food costs are pretty high. By calculating and carefully monitoring the COGS you can decide the amount you need to spend on your stock and allocate the menu price correctly. It is the percentage of the revenue that pays for the restaurant labor. It is the second prime expense for a restaurant business in UAE after the food cost, primarily due to a lack of skilled labor in UAE. In order to yield more profits, this labor cost percentage should be low. This article will help you keep your labor costs in check. It is the total sum of your labor costs and the cost of goods sold (CoGS), including the food and liquor cost. 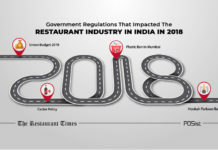 It represents the restaurant’s largest expenses, it affects your entire operations including how you price the menu, create your budget and set the goals for your restaurant. This is one of the most essential restaurant financial metrics to calculate. It helps you determine how your sales should be performing to earn back what you have invested. You can use this number to forecast how long will it take for you to earn back what you have invested in your restaurant business. It is also a crucial number if you are looking for investors. This is how you should be managing your restaurant finances to reach breakeven quickly. It is the difference between the cost of creating a specific item on the menu and the selling price of the food item. 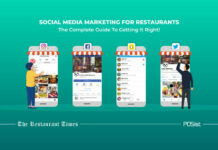 This restaurant metrics is important because you have to have an idea about how much you are selling a particular item for and if it is profitable for your restaurant business or not. Learn how to calculate the food cost percentage the right way here. It is the money your restaurant business makes after deducting the cost of the goods sold. It tells you how much money you are left with to pay for other expenses like rent, electricity, etc. after deducting the CoGS. It is the money your restaurant makes after accounting for all the expenses like CoGS, rent, electricity, etc. This is your profit margin and an essential metric to calculate since any profit made is a cause to celebrate. It is the number of tables turned over during a period of time. A quick table turnover rate would mean more money in your pocket. It would help prepare your kitchen for the evening and would also equip you with more information for reservation. Read how you can optimize your restaurant table turnover rate here. It is the amount a single customer spends at your restaurant. It tells you how efficient your restaurant staff is at maximizing sales. You can also use this metric to forecast the sales. 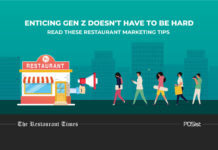 It is a marketing metric that shows how much it costs to get a new customer to your restaurant. It is helpful as it helps you determine if your marketing strategies are effective or not. By comparing different customer acquisition costs you can prioritize the marketing strategy that gives you the maximum return on investment. Running a restaurant in UAE’s competitive restaurant industry is no child’s play. it requires you to deal with many numbers day in and day out. This list of restaurant financial metrics would help make the calculations easy for you and help you run your business better.